There are many different materials that can make a planter or flower pot. pretty much anything that is water tight is ideal but if it is for outdoor use you don’t even need to stick to that criteria! 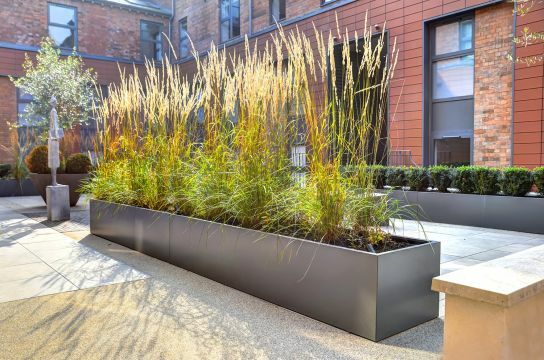 In This article though I have looked for metal planters and the trend by a long way is corten steel. Those of you that don’t know what that is it is a type of steel that has been formulated to rust on the surface but retain its internal integrity. So you get the striking orange rust without the fear that it will eventually rust though, clever hey! Although my planters are made from concrete I have managed to figure a way to stain them so they look like corten. 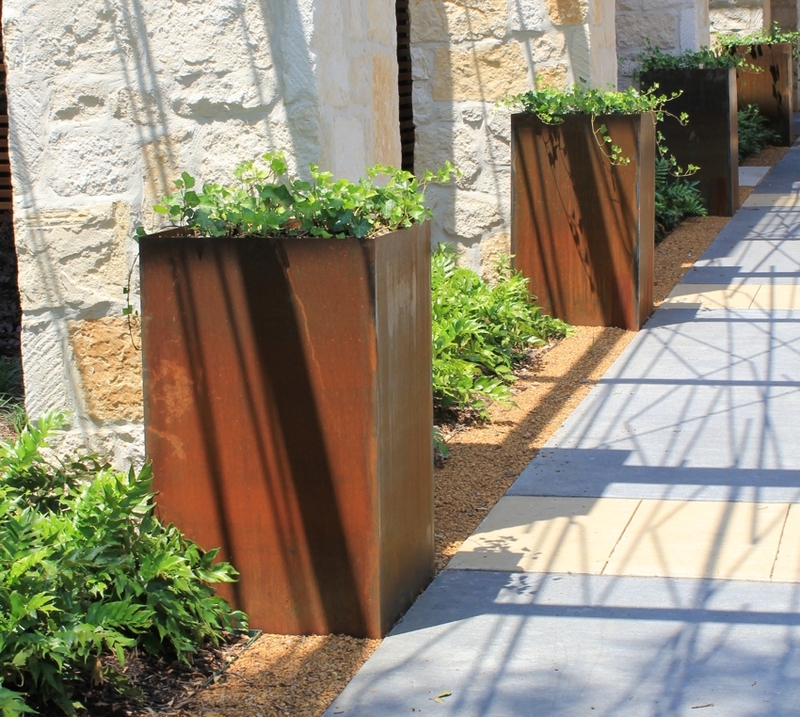 Corten steel planters aren’t the only option though as there are stainless steel, lead, aluminium, powder coated, galvanized, copper and more. 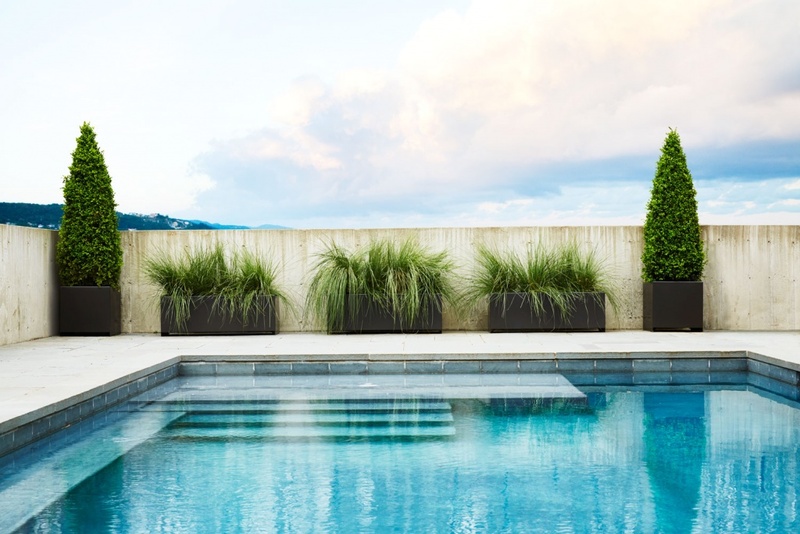 It all depends on what you are looking for but what most customers like about metal planters is that there are companies out there that can easily fabricate pots to a custom size to suit their design. iota have a huge range of great planters, sadly my products weren’t suitable for their needs but my work is not for everyone. They usually work in very simple shapes to maximise the market and keep quality high so they are durable and suitable for high traffic areas. Hive are an interesting design company that are essentially a conglomerate that allows their designers to have their own name associated to products. 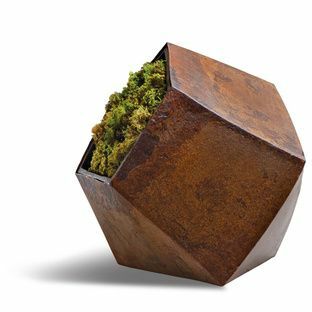 these geometric planters I found really interesting and they remind me of the sort of old war post at the beach that are rusted and corroded. I like the lop sided stance and actually shot my own Femkant planter in a similar position. The nice thing about corten steel is that it has the potential to be custom made as it comes in sheet material. This is part of the reason for it’s explosion in popularity as small companies can offer custom services without huge equipment costs. 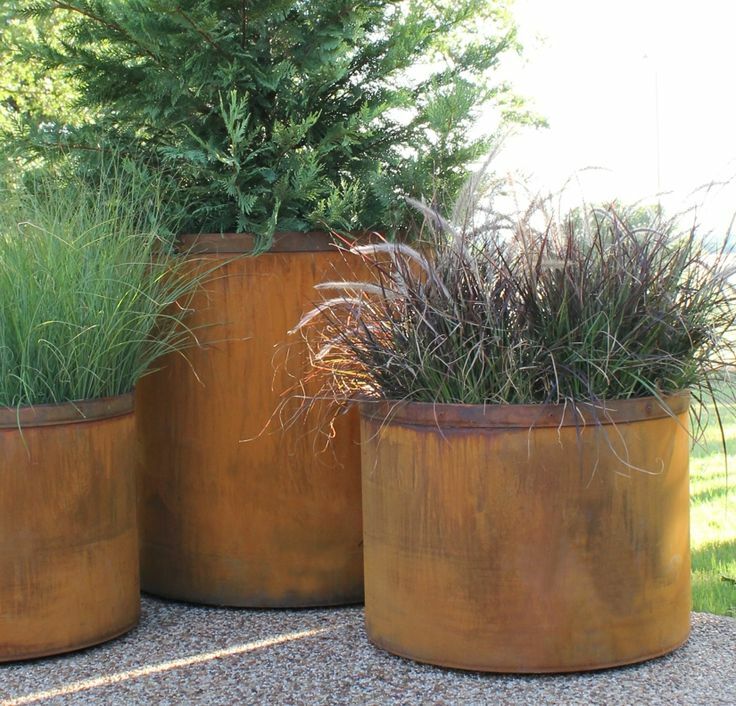 Corten steel pots come in all sorts of different shapes and sizes just as aluminium, zinc and lead. 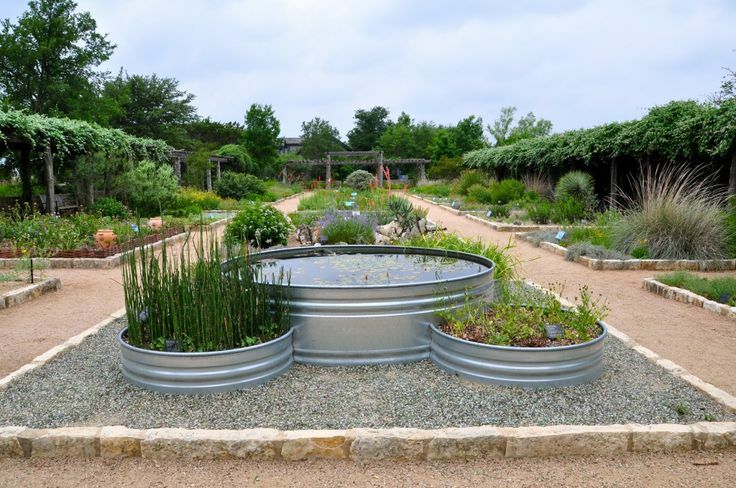 Lead planters tend to be the most ornate designs in the metal category but a real lead planter will cost an eye watering amount. 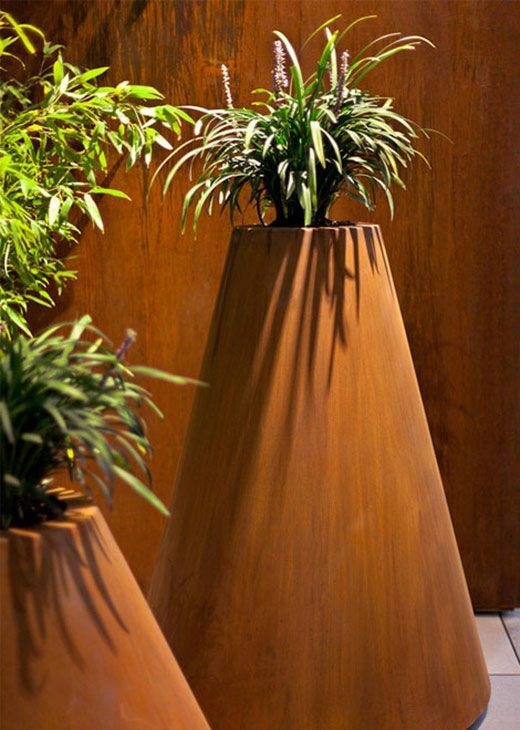 Metal planters tend to take the shape of boxes or cylinders as these are the shapes that the material lends it self to. Metal flower pot fabricators will purchase sheet materials and weld, bend and cut the different shapes but the standard and easiest to make are as mentioned. This is good for them as they are also the most popular. A muted planter can really bring some life to a dull area of garden or ground and the right colour, material and planting will allow it not blend in without shouting too much.